I wanted to make these areas sharper, with higher resolutions, so I've been trying to use higher resolutions in the texture map to make these areas. But with the larger areas I run out of video ram quickly. Which would be better, a large area with a resolution like Mountain1 had, or a smaller area( mabey 2400*2000) that looks sharper ? Probably smaller. I'd take the smaller sharper image than a larger one that is not. Here is one I've been working one. I also have some tiles to go with is, like bridges ect..
That looks pretty good. Nice touch on the white caps on the mountains. 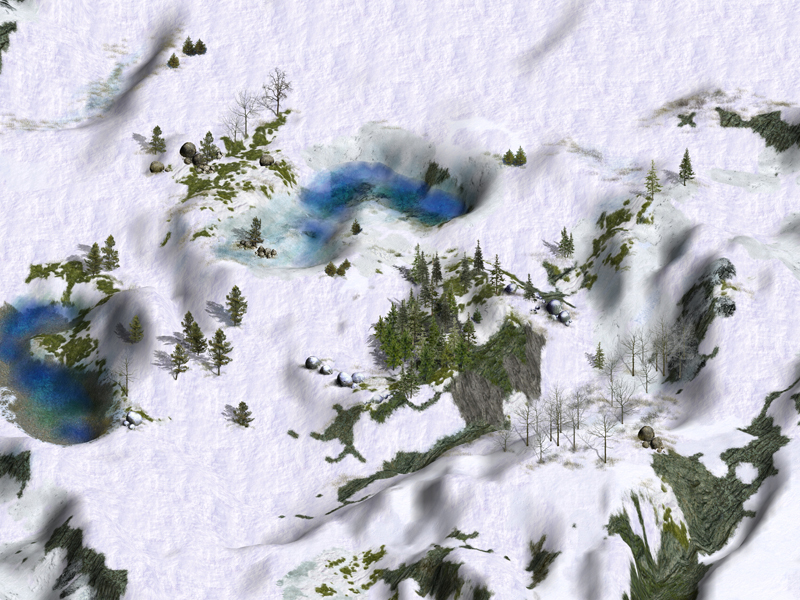 I'm working on maps for a French mod for Icewind Dale 2, and I've already made several ones, wich takes place in the mountains.